SMURFing Weeks 21-22: That’s a Wrap! As the SMURF 2017 season comes to an end, we are taking time to take a look back at what turned out to be quite a tumultuous sampling year. Although the SMURF moorings were deployed early in April, they endured a rough spring and some were lost early in the sampling season. 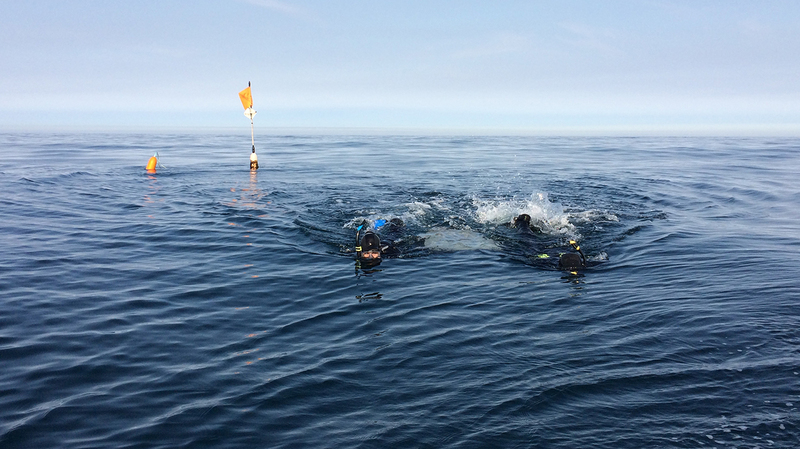 As a calmer summer approached, the lost moorings were replaced and sampling continued. Then as the time drew near to remove the moorings before the rough Oregon winter set in, season transitional storms hit (some even with lightning) and we lost some additional moorings in the last month. Retrieving the mooring that anchors the SMURFs. As we were curious to see if there would be a large recruitment pulse of Splitnose/Redbanded Rockfish and the QGBC-complex (we group some species of rockfish recruits), we kept the SMURFs in the water as long as the weather and our budget would allow. 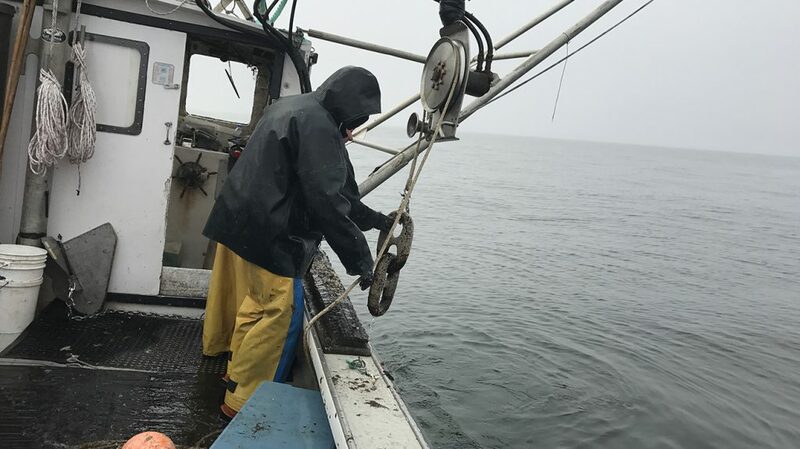 We finally pulled the last SMURFs from Otter Rock and Cape Foulweather out of the water on Monday, using the assistance of Oregon State University’s research vessel the Elakha. The counts in 2017 were very different from 2016. 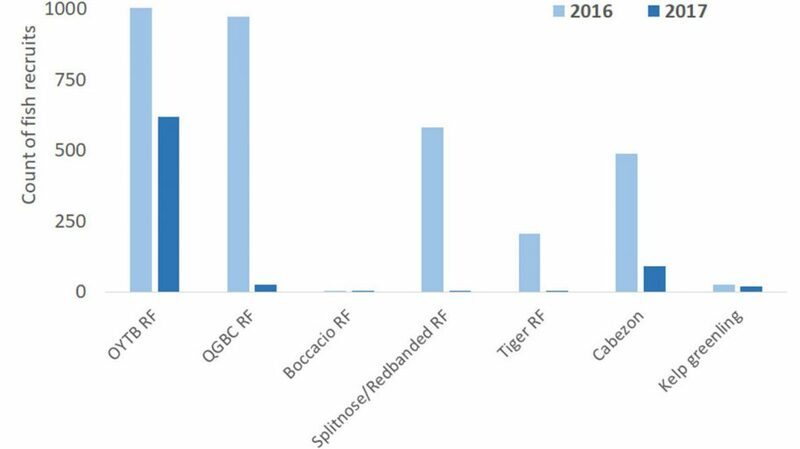 This graph shows the total counts of the most common species for all sites combined, over the past two years. You can see in the graph above that we didn’t see nearly as many fish recruits this year as we did in 2016. What makes these long-term data sets so valuable is to see how different fish species recruit in different years. As we see changes throughout time, we can look at ocean chemistry, currents, and food sources to begin to tease out why these differences are occurring. Oregon’s marine reserves make excellent sentinel sites for long-term research projects like SMURFing. Check back with us next April to see what 2018 will bring with the SMURFs.